Sherburn Metalwork Ltd, part of engineering and fabrication company WEC Group Ltd, specialise in fabrication, sheet metalwork and robotic welding for the automotive industry. 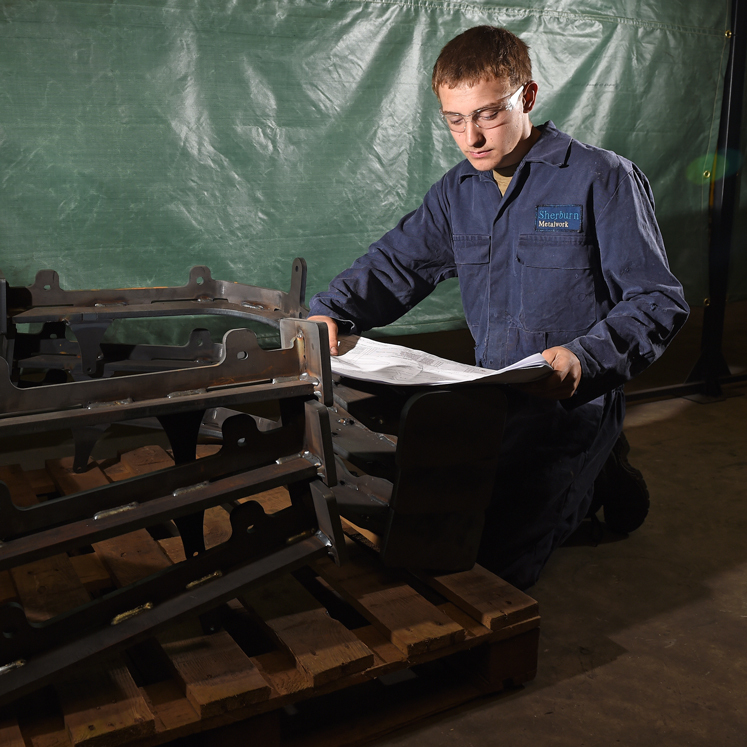 Our expertise ranges from the manufacture of bus frames and chassis to parts for various trailer and body work manufacturers including box vans and refrigerated trucks. Operating from a purpose-built facility in Sherburn-in-Elmet, we have an exhaustive range of state-of-the-art technology available including robotic welding facilities with maximum assembly weight of 500Kg. Thanks to our extensive range of technology and floorspace, recent work also includes projects for the defence, marine, subsea, aerospace and oil & gas industries. With over 35 years’ experience in the industry, our team of highly-skilled engineers are fully trained in MIG, TIG, MMA and Sub-Merged Arc Coded Welding in all disciplines. 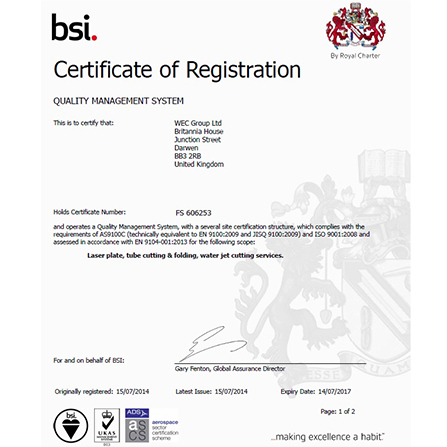 We work to ISO 9001:2008 standards with PPAP quality control and conform to the requirements of BS/EN 1090-1 CE Marking, ensuring we provide a consistently high quality service and surpass the needs and expectations of our customers. 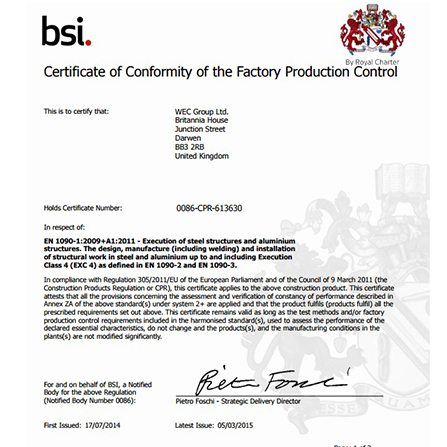 We conform to the requirements of BS/EN 1090 CE Marking up to and including Execution Class 4. You can download the certificate here. We work to ISO 9001:2008 standards with PPAP quality control. You can download the certificate here.